I'm jealous of SEPTA riders, though not because of the train delays. Not only can they get gluten-free baked goods at the Wynnewood Station (Main Line Baking Company), but now gluten-free bagels, muffins and sandwiches are available at the Lansdale Station. A Little Something Nice Cafe in Lansdale (101 W. Main St., 215-631-7997) is open six days a week for breakfast and lunch. The cafe's menu lists the gluten-free items. Three more area restaurants are serving gluten-free pizza pies. Trenton's famed DeLorenzo's Pizza (1007 Hamilton Ave., 609-393-2952) is using Still Riding's crusts for pizzas and tomato pies. Meanwhile, reader Jamie Y. let me know that the Ardmore outpost of Peace A Pizza (4 Station Rd., 610-896-4488) has gluten-free pizza as well. Peace A Pizza bakes those versions in a dedicated oven. For beachgoers, Casa del Dolce in Ocean City (947-949 Asbury Ave., 609-398-9300) has gluten-free pizza and pasta, both of which are prepared separately from other items. Thanks to reader Anna A., who provided the tip about Casa del Dolce. 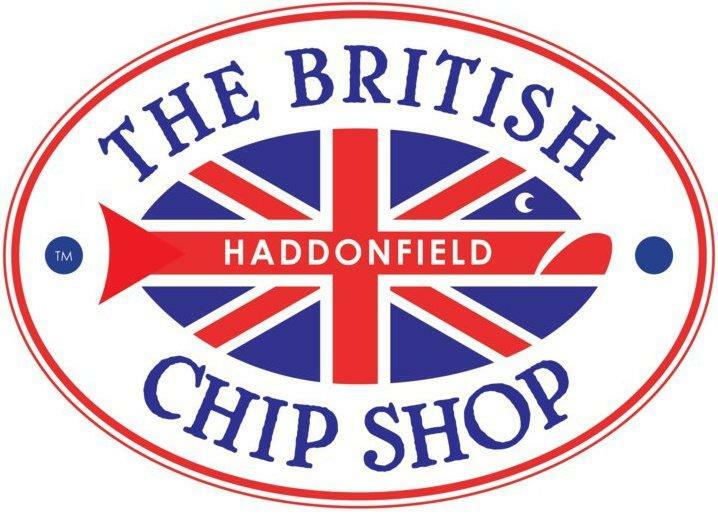 The British Chip Shop in Haddonfield (146 E. Kings Highway, 856-354-0204) notes gluten-free items on its menu, including sandwiches and salads. Owner/chef Edward Strojan tells me that he'd like to add gluten-free fish and chips. In Downingtown, the Victory Brewpub & Restaurant (420 Acorn Lane, 610-873-0881) now has a small gluten-free menu. Thanks to reader Bethann S. for the tip. Also with a gluten-free menu is Robin's Nest in Mount Holly (2 Washington St., 609-261-6149), serving French-American cuisine. One other restaurant note: On Tuesday, I reviewed Modo Mio, a delightful Italian BYO in the Northern Liberties section of Philadelphia. Reader Donna D. reports that Leo's Famous Yum Yum in Medford (7 Tomlinson Mill Rd., 856-797-8771) offers soft-serve ice cream with Goldbaum's gluten-free cones. Local cold-cuts producer Dietz & Watson this week debuted its first-ever gluten-free deli at the Acme supermarket in Paoli (39 Leopard Rd., 610-240-0101). More than 20 of Dietz & Watson's gluten-free meats and cheeses are available in a special eight-foot segregated section of the deli. The gluten-free products will have dedicated slicers separate from the other deli slicers, and deli associates will wear special blue gloves when handling gluten-free products.